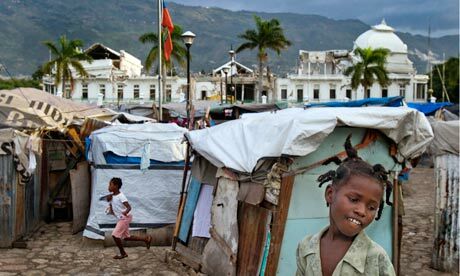 A tent camp in Port-au-Prince where Haitians prepare to leave for Brazil. After passing through five countries using planes and buses, and sometimes bribes, Haitians arrived in droves at a small Amazonian town in Brazil near the Bolivian border. Prejudice toward Haitians is alive, but not universal in Brazil. But the obstacles of difference are no matter for some Haitians. New arrivals study Spanish and Portuguese in an attempt to acclimate. On one side of the dilemma Brazilian authorities are feeling overwhelmed by the struggle to absorb the diaspora that has landed on their doorstep. But on the other side of it they should feel a touch of pride. Haitians have chosen Brazil as their destination because they are looking for work, and that is what Brazil’s growing economy offers right now.